Acquired in 1920 by the Beaver Steamship Co. 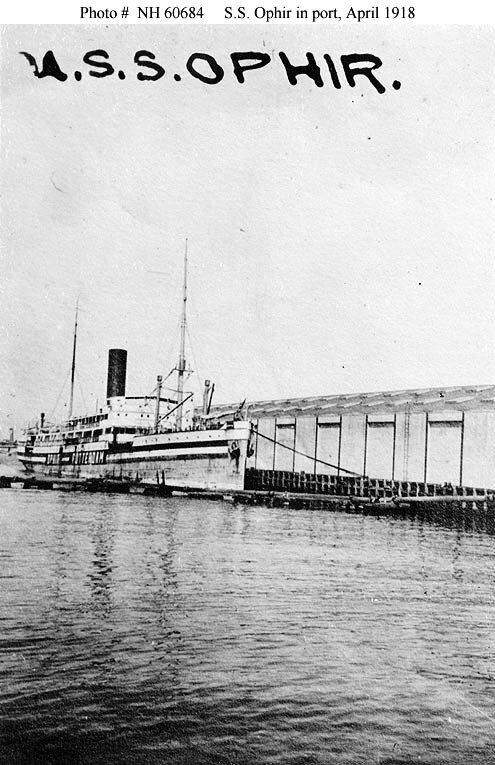 Propulsion: Two double ended and two single ended boilers, one 3,600hp vertical triple expansion steam engine, one shaft. 108k Burning at Gibraltar in November 1918. 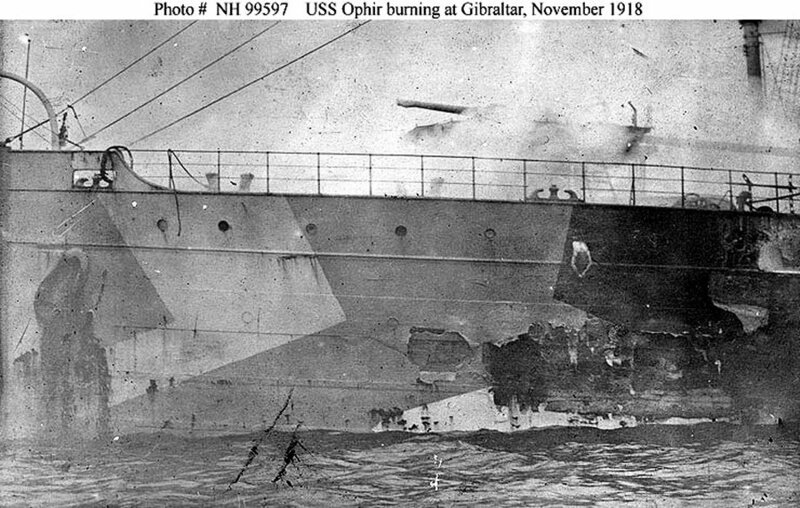 Ophir caught fire and burned for three days before sinking at Gibraltar on Armistice Day, 11 November 1918. The original photo caption reads "Mustard Gas Escaping"
Photographed by A. E. Wells, Washington, D.C. 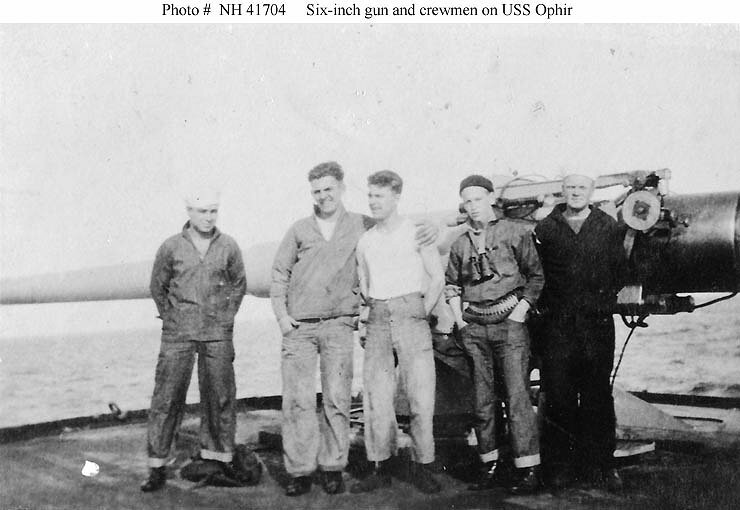 Dictionary of American Naval Fighting Ships History: Ophir (ID-2800), built by Kon. 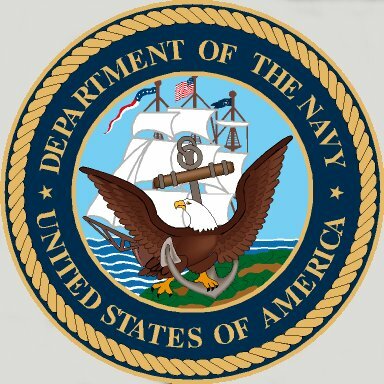 Masts de Schelde, Flushing, The Netherlands, in 1904, operated by the Rotterdamsehe Lloyd Line, and seized at Pearl Harbor by U. S. Customs officials under the authority of the Presidential Proclamation of 20 March 1918, was turned over to the Navy 21 March 1918 and commissioned 25 March 1918, Lt. Comdr. 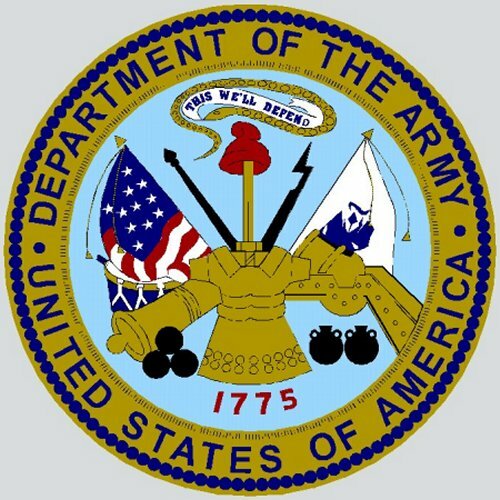 M. P. Nash, USNRF, in command. 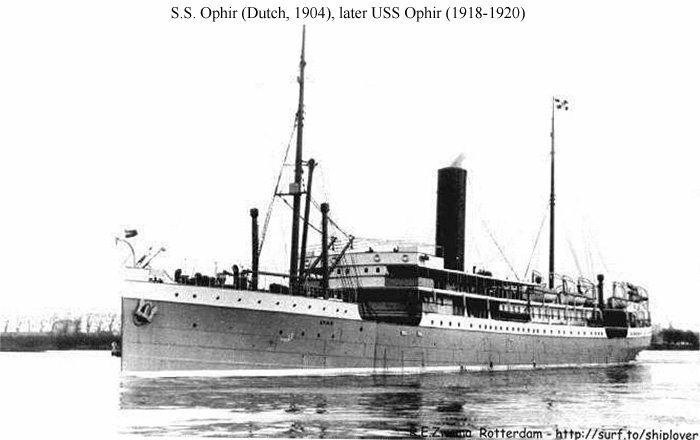 Ophir, a freight and passenger liner, sailed from Pearl Harbor 2 April on her maiden voyage as a NOTS ship. 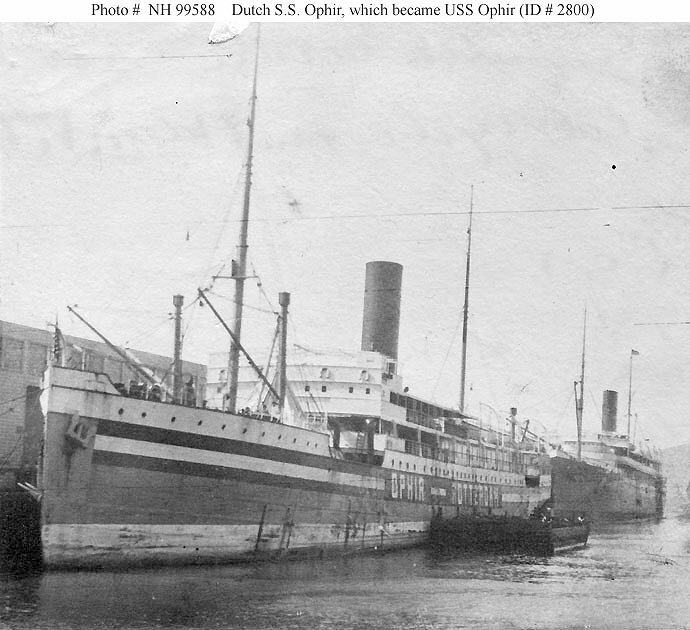 On 14 May she arrived at New York, whence she continued on to La Pallice, France. 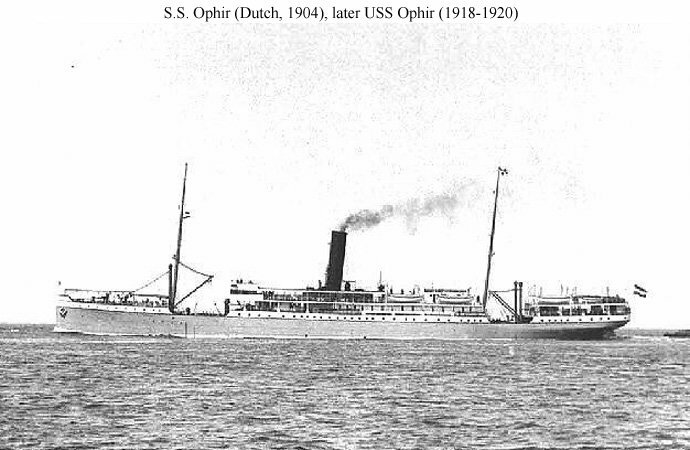 Arriving 5 June, she sailed to Verdun on the 27th, thence steamed back to New York. During the next three months, she completed two more round-trip crossings between New York and the Atlantic/English Channel coast of France. On 25 October she set out for Gibraltar and the ports of southern France. Arriving at the former on the 8th, she was underway for Marseilles when an internal explosion and subsequent fire brought her back to Gibraltar where she burned, 11 November. 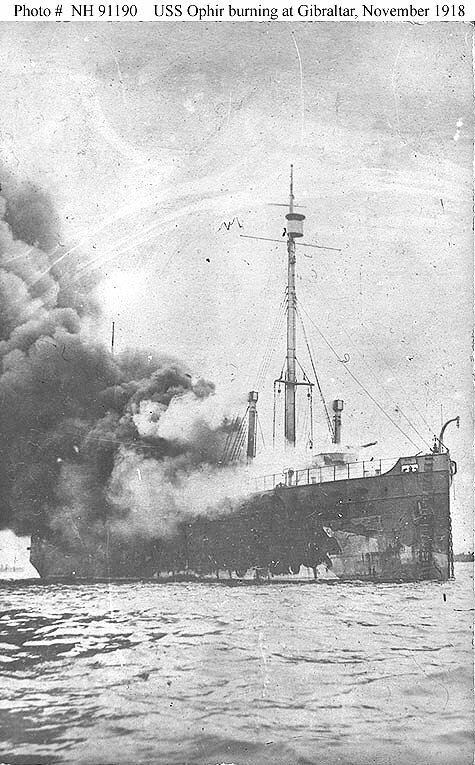 The fire cost the lives of two of her crew and totally destroyed her Army cargo. 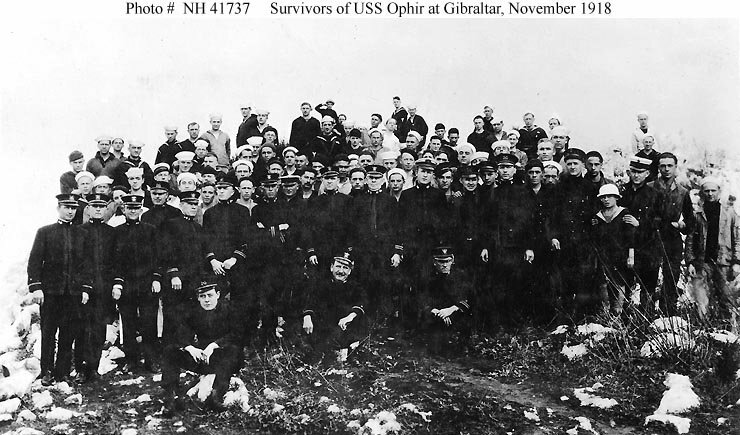 She was repaired at Gibraltar and on 25 November 1919 set out for the United States. 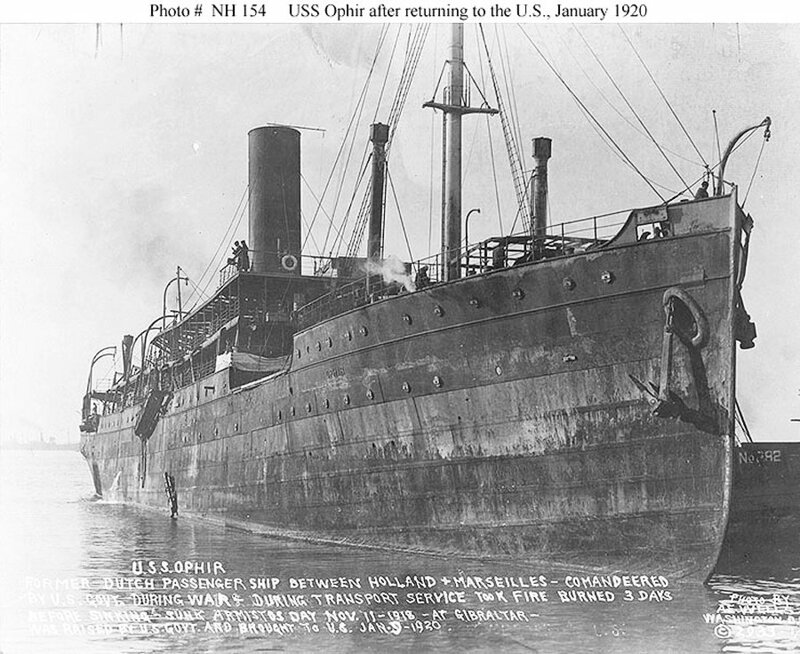 Returning to the east coast in early January 1920, she was turned over to the War Department, at Norfolk, 16 January 1920.